Prevent achy swollen ankles, feet and legs while riding! 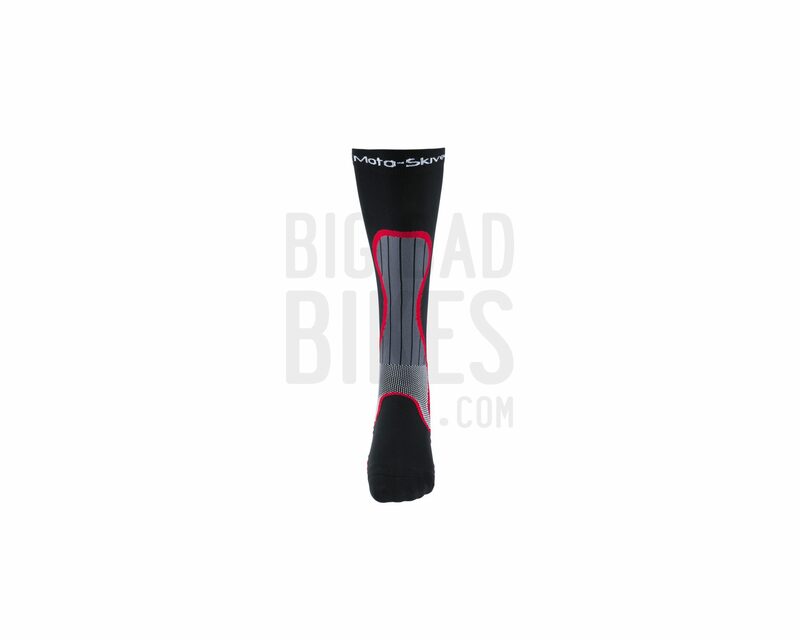 Moto-Skiveez’ Performance Compression Sock is your answer to achy legs and feet. Not only do they reduce muscle fatigue and help prevent swollen ankles and feet, but our new proprietary fabric construction provides arch and ankle stabilization to reduce tendon fatigue—Perfect for those long rides, especially when standing on your pegs. 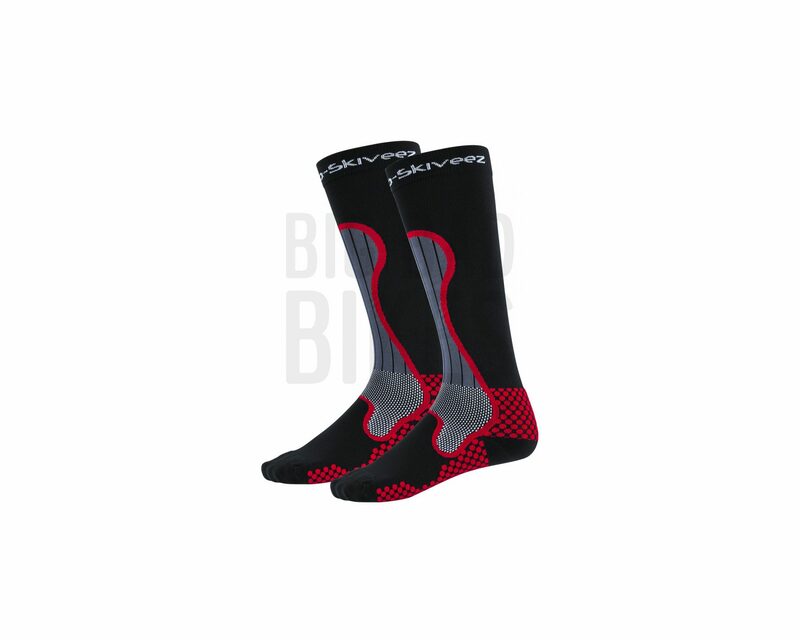 The graduated compression hugs your calf muscles to help keep you comfortable and energized while reducing inflammation and increasing blood flow for faster recovery times. 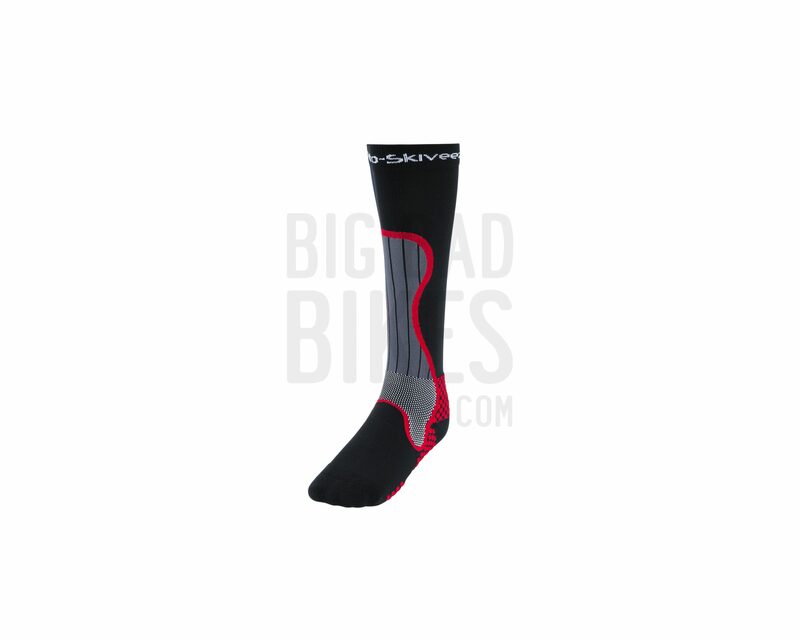 Comfort Cuff: Secure band keeps the sock from rolling or slipping down the calf. 20-30 mmHg Graduated Compression: Directs blood flow up the leg to the heart, promoting maximum delivery of oxygen to your muscles for faster recovery. Toe Section: Minimal seams eliminate any rubbing on your toes by reducing friction. Achilles Support: Advanced fabric weave offers targeted compression for increased ligament support. Heal Section: Anatomical design ensures a soft comfortable fit to reduce blistering. Footbed Support: Enhanced fabric weave structure contours to the arch for increased stability, improving control.